Life isn’t perfect and for whatever reason, we purchase stocks we shouldn’t have bought, lured in by the high yield, or still hang on to stocks we should have sold. Investor confidence in a company can be sudden and swift. In the case of TransAlta Corp (TA) for example (which I don’t own) this was pointed out in a recent post by John Heinzl. Management decisions over the sale of the Sundance coal plants, and the looming threat of a dividend cut have pummelled the stock price. TA closed at $16.81 per share today, down -20.5% from a recent high of $21.15 per share on February 26th. Back in October, TransAlta was trading over $23 per share. As well as the dividend yield now close to 7%, investors have also been concerned with TransAlta’s high dividend payout ratio at 89.2%, which is high even for a utility – it used to be over 100%! Pengrowth Energy (PGF), a smaller oil and gas producer with a crashing share price (one of my smaller holdings), has left the dividend yield at an unsustainable 9.5%. Like TA the company prefers to measure its payout to investors through cash flow and not EPS. Regardless of how you slice and dice it, measure cash flow or earnings, or write-off depreciation on oil drilling expenses, the yields of both these companies is likely not sustainable. Investors fear dividend cuts, and companies with high dividend yields and declining share prices loathe having to cut their dividends. Companies believe if they cut their dividend, they will lose shareholder confidence. Ironically the opposite is true. Many investors lose confidence in a company that will resist cutting its dividend at all costs, even if that means accumulating more debt or paying far more in dividends than it earns – just to keep the dividend going. Back in July 2011, I wrote an article for Canadian MoneySaver on this very point in, The Dividend Payout Ratio. The reality is a high yield is simply not sustainable, whether you measure that payout ratio with EPS or a cash flow measure such as AFFO (Adjusted Funds from Operations). A company can only continue for so long with a high dividend yield, and at some point, it will either have to fund the dividend through debt by issuing shares and bonds or simply cut the dividend. Even for a company with solid cash flow, dividends can’t come out of thin air. A general rule of thumb I apply for dividend stocks is once the yield rises above 6% you should be concerned. After all big stable blue-chip companies don’t need to entice investors with high yields, their economic moats, solid earnings, and brand recognition tells the whole story. This is why dividend investors primarily focus on moderate dividend yield (3% to 5.5%), and lower dividend payout ratios. Dividend investors also focus on companies with low debt. These are the companies that are profitable, pay a portion of their earnings to shareholders, and are able to continue raising their dividends year after year. Although it is tempting to go for high-yield, stable and boring generally wins the day! But not all dividend stocks are created equal. When smaller capitalization companies distribute high yields, you can usually associate that with declining share prices, poor earnings, higher debt, and even management issues. Sometimes a declining share price is simply the result of commodity pricing, such as junior oil and gas companies like Pengrowth (PGF). Regardless, larger cap companies can more likely absorb the costs which smaller companies cannot. After all, you are getting a higher yield for a reason. A company with a continuing decline in share price (biggest reason for a high yield). A company that has a high DPR (Dividend Payout Ratio) – anything over 70% is a red flag! Be careful with companies that use Cash Flow instead of Earnings to measure their payout ratios. Many REITs, previous Income Trusts, small caps etc. use Cash Flow instead of EPS. But even if they have a good cash flow measure, that doesn’t mean they are safe. A company that has high debt. A company with decreasing revenues or declining earnings. A company that refuses to cut its dividend at all costs (i.e. YLO). Pay attention to the warning signs ahead of time, and if there are any red-flags then be a seller rather than a buyer! More often than not, a higher yield goes hand in hand with a declining share price. This is usually the result of continued poor earnings, increasing debt, or significant management and company issues. The basic relationship is that when a stock increases in price its dividend yield decreases, and vice versa when a company’s share price crashes, its dividend substantially increases. For example, if you buy oil and gas stock for $10, and the annual dividend per share is .40 cents, then your dividend yield is 4% (.40 dividend by $10). But if the share price crashes to $5 for whatever reason, then the dividend still at .40 cents means the yield is now 8% (.40 dividend by $5). Since yield, earnings, and cash flow are all related, at some point, the higher dividend yield is costing the company additional money when it shares price declines. This is where the biggest problem arises when companies with a declining share price and high-yield simply refuse to cut their dividend. Some companies will continue to pay the dividend by amassing more debt. Essentially a company in this situation is saying we will keep paying you a dividend even if we can’t afford it. Back in December 2010, Canadian Oil Sands (COS) cut the dividend some 60%, after converting from an Income Trust to a corporation. This essentially reduced the dividend yield from over 8.1% to 3.2%. As a result, the share price of COS plunged some 15% as investors dumped their shares. However, this was a prudent move by COS management. Although the current dividend yield has now risen to 6%, their dividend payout ratio remains well in line around 50%, and they gained back their investor confidence by making the cut (they do have a variable dividend policy). They demonstrated to shareholders that when a dividend cut was necessary, they would act in the best interests of shareholders – instead of continuing an unsustainable dividend. On the other hand, the once darling of the Income Trust world, Yellow Media (YLO) refused to cut the dividend, which was well over 27% at one point, as their share price crashed throughout 2011 from a high of over $6 per share to around 6 cents per share. YLO even issued preferred shares and corporate bonds while its yield was excessive and unsustainable – which were later graded as junk and then speculative. There were huge bonuses, office closures, layoffs, and lack of overall direction. Eventually, YLO eliminated the dividend altogether, but not of its own choosing. But by then it was too late, investors had lost complete confidence in the company and unfortunately their money. The chart of YLO tells the whole story. Good management (i.e. COS) will cut the dividend early, whereas other companies will continue business as usual (i.e. YLO) until it’s too late. By the time a dividend cut comes for a company like that, it’s game over. There were many warning signs regarding YLO, but the high dividend was a red flag there were other issues at stake. Readers, what do you think? Are you inclined to stay away from higher yield stocks? Do you think a dividend cut is a good thing? Disclaimer: I am long on Pengrowth Energy (PGF). I absolutely think dividend cuts can be a good thing. It’s responsible management. PGF should do it, and so should TransAlta. -Most REITs and utility companies as you have eluded to have higher payout ratios than 70%. I am fine with this. I try to balance my portfolio with companies with low payout ratios and yields, and higher yields for that reason. -A company that has high debt isn’t always a bad thing….could be a recent M&A. If they are an established, multinational company, I usually don’t worry about high quarterly or yearly debt. Over a 5-year trend, that’s a different story. Your post was excellent and I enjoyed the tale of two dividends. Regarding TransAlta, I am sure they will find a way to work through their Sundance issues. If they cancelled the deal with TransCanada, and felt the plants were not in good enough shape to sell, then they must have had good reason to do so. I beleive as you do, that TA will work through it’s problems. You already know my story with Cisco Systems, by continuing to hold and not giving up, I’ve come back to even – I could have even averaged down. Thinking of toppping up TransAlta? High yields simply signal me to look deeper into the financial statements to find numbers that do suggest trouble. Yield can increase without declines in earnings or cash flow. The yield is a product of the share price, which many times has been shown to be a poor indicator of a company’s worth. To go with your example, if that oil stock’s price halves from $10 to $5 with no change to the dividend the yield does double to 8%. This is a very high yield and would make me look harder at the company. but the price decline could be speculative based on conflict in the Middle East. That can turn out to be nothing and the stock is just very underpriced. The company can remain strong while the price goes down quite a bit. A price does not usually crash without reason but a company’s stock can go down in price without justifiable reason. Share price is somewhat related to earnings but they are not proportional and are not necessarily causal. I look at EPS and subsequently payout ratio more. The dividend yield to me just says that I might need to look at the company more closely. Poor Student the problem with analyzing many smaller cap companies, such as oil and gas producers, REITs, etc. is that EPS is a meaningless number. They depreciate many CAPEX items (such as drilling rig equipment) which completely distorts the earnings (EPS). REITs have huge depreciation on their properties, again which completely distorts the EPS. Take the example of the oil and gas producer above for $5 per share with a yield of 8%. Let’s say the company shows a dividend payout ratio of 95 using EPS. But the company reports a 50% Payout Ratio with cash flow, and has moderate debt. Is the company safe? Great article DN, I completely agree. At the end of the day you want your company to believe that keeping capital within the company is a good thing as well. For me, this means that they are confident they can continue to build in an efficient manner and grow. Cutting the dividend to make overall growth and health sustainable is a tough medicine to take, but you gave some perfect examples that illustrate exactly why it is often in shareholders’ best interests. YLO was definitely an extreme example, but even when it hit a dollar readers were asking me if they thought it was a good buy? The high dividend should have been reason enough for common sense to prevail. Clear and complete analysis. Thanks to you I adjusted the calc spreadsheet used for stock evaluation by triggering red flags for dividend yields. That post and the one about the DPR explain a good set of methods to avoid “toxic” stocks. Now I see clearly the situation about MFC, too much red colors… (With a DPR that blows the sky and a debt of more than 40%). Your article about dividend cut gives also a good and rational point of view. Farcondev That’s great! Now you got it 🙂 You will probably find for every 10 stocks you pick only one is worth it! 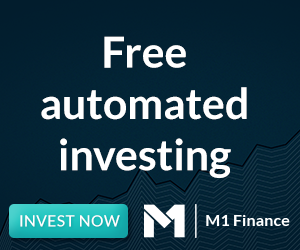 Some investors think MFC is a good value play, especially if interest rates start to increase – I almost thought of purchasing it myself. But huge debt usually gets companies in trouble no matter how big or small they are – so I passed on it as well. There are always other opportunites. Just remember that REITs and many of the smaller companies use Cash Flow instead of EPS to measure their payout ratios. But for the big-blue-chips using EPS for the payout ratio is the way to go. Exactly, among the ones I put on the spreadsheet, only a few shows healthy data for long term investment. Regarding of MFC, this stock is too much speculation, especially when you see contradictories news about a “possible” hike for interest rates. Even if the rates go to raise it will be only by small steps anyway, in clear it’s a bit of waste of time and hard-earned cash to put in this stock. With that, the DPR calculation shows clearly that MFC cannot afford to pay their dividends, and THAT’s a big concern too. “Just remember that REITs and many of the smaller companies use Cash Flow instead of EPS to measure their payout ratios. But for the big-blue-chips using EPS for the payout ratio is the way to go.” – Ok it’s another specificity to put in the analysis. I actually avoid high yield stocks and I definitely would sell one of my stock if there was a dividend cut. I rather follow the dividend payout ratio and make sure they don’t exceed 85% so I don’t have any surprises. When a company cuts its dividend, it’s because they have no other choices left. This is always a bad sign. Yes I agree with this point, for the majority of dividend paying companies – even knock it down to 60%. COS (a company you just reviewed) cut their dividend prior to converting to an income trust. I think this company has great metrics. The best time to buy COS was after they cut the dividend. They have a variable dividend policy. Husky cut their dividend after the Crash I recall, and probably a few others. They have stronger balance sheets becuase of it. So I’m not so sure its a bad sign. The dividend cut by COS made sense upon converstion from an income trust to a corporation. For other high-payout companies like Just Energy (JE-T), they’ve maintained their very high payout post conversion but still haven’t seen their share price appreciate. Per your note above, do you think this is an example of investors punishing JE for something seen as unsustainable? We are into a broad market sell-off, with commodities leading the way during an economic slow-down in China and concerns in Europe. All sectors, and especially anything related to energy is being hit hard (although JE is really a utility). Smaller companies are also being hit hard, becuase they have less market capitalization and resiliance to sudden market changes – after all they are the first to get sold off by concerned investors. I would agree that many investors are concerned with the yield (even with cash flow it is not likely a sustainable yield). If you invest in high yield stocks you shouldn’t really expect much growth in a company – you are getting a high yield instead of growth. If the company has no earnings, because it is depreciating and writing everything off (as Just Energy would likely be), and has a large cash-payout-ratio, then it is paying almost everything it earns out as dividends. That means there isn’t much room to grow the company, hence little room for growth. Sometimes you will get the growth with a high yield in a bull market (as we have had) but as you are now seeing with small caps, it’s a double edge sword when markets move the other way.